As the second pillar to the Bahamian economy, between 15 – 20 % of the nation’s gross domestic product is derived from financial services which underpin the Bahamian middle class. As this vibrant industry continues to build on its strong foundation, it leverages the use of innovation to reposition itself for long-term growth and sustainability. Roughly 250 financial institutions based in The Bahamas leverage the strength of a well-trained, readily available local workforce with internationally recognized designations and years of practical hand-on experience that works in tandem with expatriate talent. The investment client is nurtured through years of maturity along with over 80 years of experience in financial services. This stable and predictable business environment is conductive to growth of indigenous boutique firms. The Central Bank of The Bahamas uses a robust licensing regime intended to maintain the credibility of The Bahamas as a well-supervised international banking jurisdiction. Its licensing criteria includes rigorous assessment, due diligence process and relevant inquiries. 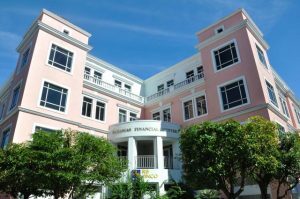 The Central Bank of The Bahamas licenses all banks and trust companies operating in, and from within the Commonwealth of The Bahamas; in accordance with section 3 of the Banks and Trust Companies Regulation Act, 2000. Any person and or company wishing to conduct banking or trust business within the Commonwealth of The Bahamas, is required to make an application to the Governor of The Central Bank for the grant of a license in accordance with Section 4 of the Act. The Securities and Financial Services laws of The Bahamas, the Securities Industry Act, 2011, the Investment Funds Act, 2003, and the Financial and Corporate Service Providers Act, 2000 require all market participants operating in or from The Bahamas and products offered to the public to be licensed by, or registered with the Securities Commission. The Securities Industries Act, 2011 provides for the regulation of the securities industry. The Investment Funds Act, 2003 provides for the licensing and registration of Investment Fund Administrators and Investment Funds. The Financial and Corporate Service Providers Act, 2000, provides for the licensing of financial and corporate service providers. The website of the Securities Commission of the Bahamas gives you a listing of approved registrants and licensees. Also it provides licensees and persons who are no longer licensed to operate in The Bahamas. Application forms for firms, individuals under the Securities Industry Act, 2011, Administrators and Funds under the Investment Funds Act 2003, as well as Financial and Corporate Services Licensed under the Financial and Corporate Service Providers Act 2000 are accessible via the following link. With the creation of the Bahamas Executive Entity, the introduction of the SMART funds and the Investment Condominium (ICON) fund; The Bahamas adds the first common-law jurisdiction to introduce foundations to its list of accolades. The country’s evolving and often ground breaking trust legislation positions it as a re-emerging, sought after destination for captives, in particular private placement insurance. With just 50 miles or so from the coast of Florida, The Bahamas enjoys the business advantages that proximity to the US, and Central and South America affords. These advantages continue to make The Bahamas the ideal destination of choice for excellent quality of life and ease in managing financial affairs. A dynamic and responsive supervisory regime facilitates industry transformation. The use of technological innovation, enhanced immigration policy, and process reform that reviews The Bahamian tax structure, leveraging linkages between commercial development and ease of doing business. 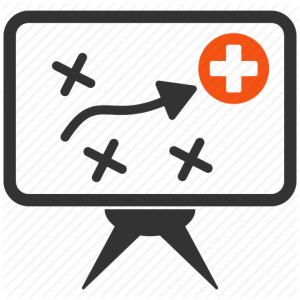 Integrating technological advances provides enhanced client data protection and improved data service delivery. This creates opportunities for new products that enhances the overall client experience. A review of its current immigration policy towards the introduction of measures such as tax residency certificate based on substantial connection and expanded grounds for permanent residency beyond the purchase of residential property, may be considered in support of facilitating ongoing world-class client experience. Incorporating enhancements to the existing tax structure that allow for the implementation of a taxation system inclusive of improved tax administration may encourage financial institutions to headquarter the mind and management of their operations in The Bahamas. The availability of resources throughout the archipelago makes The Bahamas attractive for foreign direct investment. Creating incentives through leveraging linkages between commercial development, activities, and financial services for real international business, may add to the compelling reasons to consider The Bahamas as the destination of choice for a superior world-class experience. Innovative processes for starting businesses may potentially increase competitiveness while encouraging entrepreneurship and increased Bahamian ownership in the financial services sector. In combination, the value proposition inclusive of regulation, expertise, innovation and location establishes the firm foundation on which The Bahamian financial services sector builds the pathway to the future that charts the way forward.